Aberdeen-based transport and distribution company, Northwards, has purchased a new transportation depot thanks to a £1.2 million funding package from Royal Bank of Scotland. The company, which was formed in 2002 following a management buyout from P&O Scottish Ferries of its freight, haulage and maintenance operations, has invested more than £2 million in the new 20,000 sq. ft. depot, which is located within a three-acre site. The new facility in Altens Industrial Estate on Blackness Road will supplement the existing unit at Aberdeen Harbour. The move to the new depot further cements the company’s ambitious expansion plans, with Northwards’ turnover more than doubling over the last seven years. The business, which has more than 1,000 customers, currently operates out of depots across Scotland in Aberdeen, Shetland, Orkney, Inverness, Scrabster and Glasgow, with plans to further expand its presence across the country in the future. 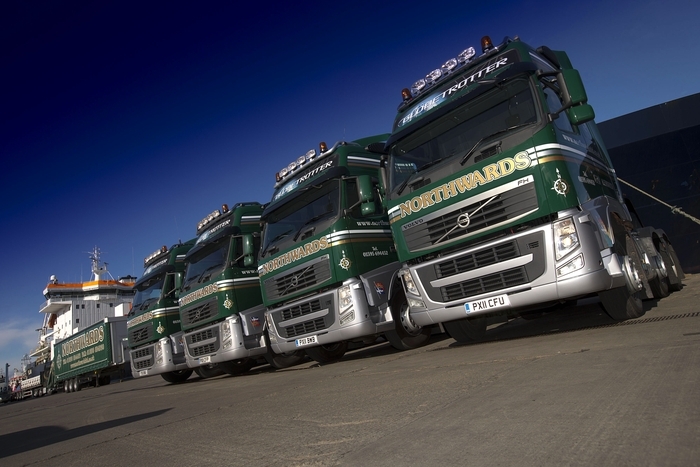 Northwards provides freight, haulage, distribution and storage services for customers in a range of sectors, with oil and gas, retail and aquaculture being amongst the main industries to work with the company. The business is regarded as the best of its kind in the region. In 2011, Sea-Cargo Aberdeen became a majority shareholder in the company, increasing its expertise and providing transport links to Norway and Western Europe. The new facility is a significant investment for Northwards and will enable the company to continue on its expansion path and create new jobs for the local community.